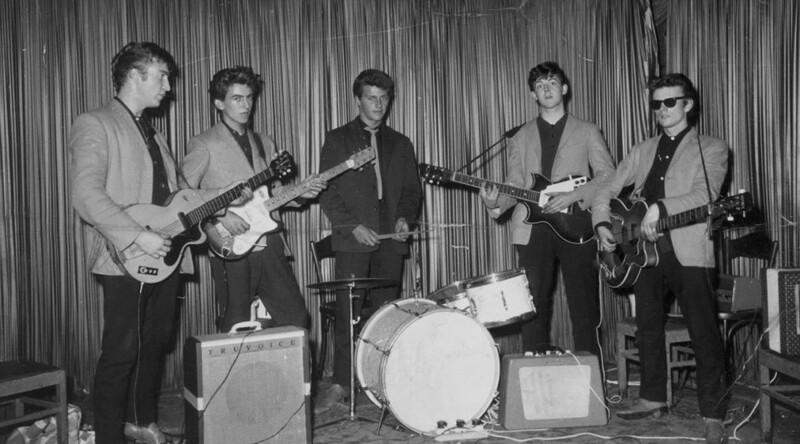 In 1960, when the Beatles [John Lennon, George Harrison, Pete Best, Paul McCartney, Stuart Sutcliffe] arrived in Hamburg, West Germany they were still seeking success. Beatlemania was three sweaty years away. The Indra Club had booked them to play and each of them learned many things. For example, how to light a dark room without using electricity, what happens to underage workers, and what happens when authorities arrest foreign visitors. They had arrived the morning of August 17, 1960 to a closed Indra Club. A manager from a nearby club found someone to open it up and they slept on club’s seats. After performing that evening, they were told that they would sleep in a nearby movie theater’s storeroom. They had to use cold water from the urinals for washing and shaving. 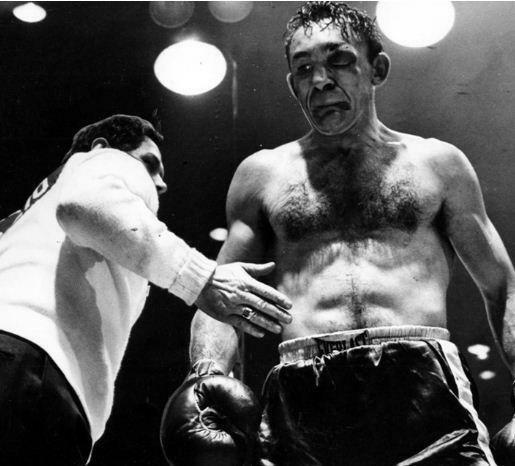 The schedule was seven nights a week: 8:30 – 9:30, 10 – 11, 11:30 -12:30, and 1 – 2 AM. The Indra club owner, Bruno Koschmider, urged The Beatles put on an enthusiastic show and John Lennon complied by screaming, shouting, and leaping about the stage. The others followed his example, sometimes playing lying on the floor. Lennon once appeared wearing only his underwear and on another occasion wore a toilet seat around his neck. 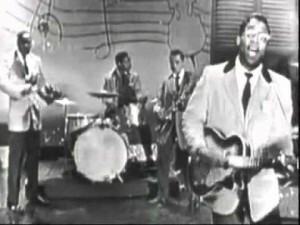 It worked–The Beatles begin to draw larger crowds, while their arduous schedule sharpened their musical chops. 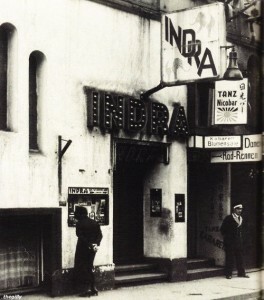 The Beatles performed at the Indra Club until October 3. Police closed it after neighbors complained about the noise. 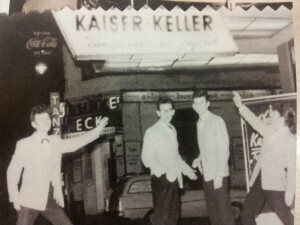 The band moved to The Kaiserkeller, another of Koschmider’s clubs. They started the next night and played the next 58 nights. 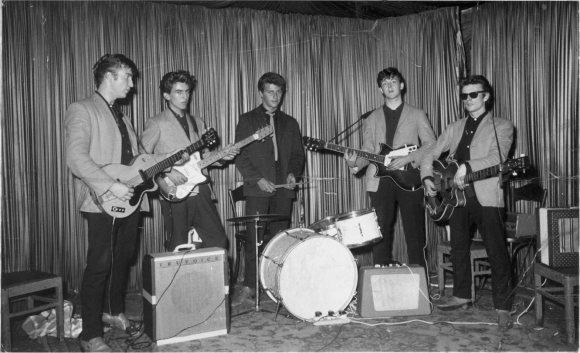 At the Kaiserkeller, The Beatles alternated sets with Rory Storm & the Hurricanes. It was here that John, Paul, and George become friendly with Hurricanes drummer Richard Starkey, whom they liked. This relationship added to the tension between Pete and the other Beatles. Best did not fit in with the others, especially in their use of drugs and their wild antics. The huge stage at the Kaiserkeller at first awed The Beatles, who were accustomed to the tiny Indra Club stage, but soon they were back to putting on the frantic act they learned at the Indra Club. 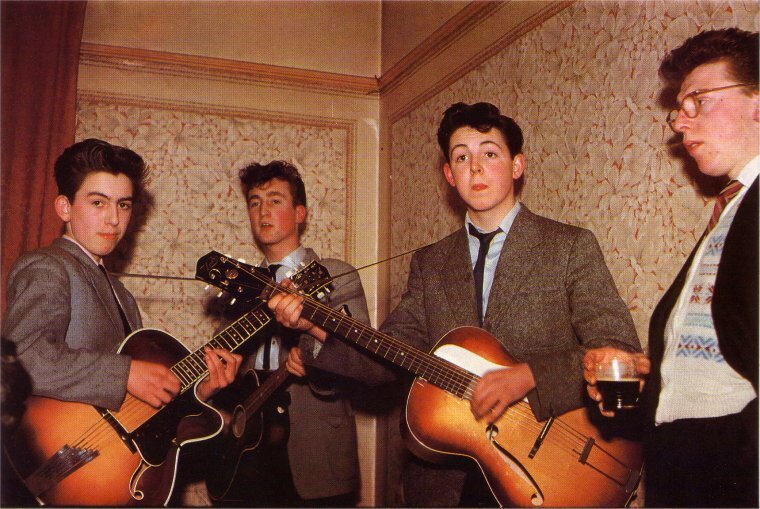 Often The Beatles performed drunk, mostly due to the generosity of customers who sent beer for them. On October 16, 1960, Bruno Koschmider extended The Beatles’ contract to play at his Kaiserkeller Club until December 31. October 31 they also performed at Koschmider’s rival Peter Eckhorn’s Top Ten Club. Koschmider was furious and terminated their contract. Despite the cancellation, they continued to perform at the club for another three weeks. An additional reason why Koschmider wanted them out was he’d found out that George Harrison was only 17, too young to be working in the club. The official statement read: I the undersigned hereby give notice to Mr George Harrison and to Beatles’ Band to leave [the Club] on November 30th, 1960. The notice is given to the above by order of the Public Authorities who have discovered that Mr George Harrison is only 17 (seventeen) years of age. 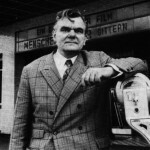 On November 20 German authorities ordered Harrison deported. 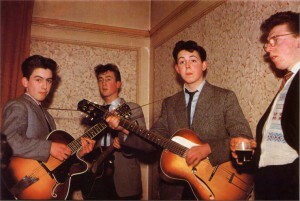 He stayed up all that night teaching John his guitar parts, so The Beatles could continue without him. Harrison left on November 21. In his anthology he wrote: It was a long journey on my own on the train to the Hook of Holland. From there I got the day boat. It seemed to take ages and I didn’t have much money – I was praying I’d have enough. I had to get from Harwich to Liverpool Street Station and then a taxi across to Euston. From there I got a train to Liverpool. I can remember it now: I had an amplifier that I’d bought in Hamburg and a crappy suitcase and things in boxes, paper bags with my clothes in, and a guitar. I had too many things to carry and was standing in the corridor of the train with my belongings around me, and lots of soldiers on the train, drinking. I finally got to Liverpool and took a taxi home – I just about made it. I got home penniless. It took everything I had to get me back. On November 29, the other Beatles had begun moving their belongings from their bathroom/bedroom to an attic above the nearby Top Ten Club. It was, as usual, dark and as McCartney and Best gathered their belongings they lit an object in order to see. Object? Accounts differ: rags, a wall tapestry, or a condom attached to a nail. There was no damage apart from a burn mark on the wall, and the fire eventually extinguished itself on the damp wall. Bruno Koschmider, however, was furious, and told the police that Paul and Pete had attempted to set fire to the cinema. On November 30, police arrested McCartney and Best and they spent the night in jail. The next morning, they went above the Top Ten Club to get some rest. In the early afternoon, however, two plain-clothes police woke them. They told the boys to get dressed and took them to Hamburg’s Kriminal police headquarters. The officer in charge told them they were to be deported at midnight. They were taken back to the Top Ten where they had five minutes to pack up their possessions; Pete Best was forced to leave his drums behind. They were then held in prison before being escorted to the airport. They Beatles were not entirely sure why the Germans deported them as their limited command of German made it difficult to understand the police procedures. The authorities refused their request to telephone the British Consul. McCartney and Best arrived at London Airport on December 1. They spent their remaining money on a bus to Euston Station and a train ticket to Liverpool. John Lennon stayed behind in Hamburg for a while but returned on December 10, He traveled back to England by train and boat. 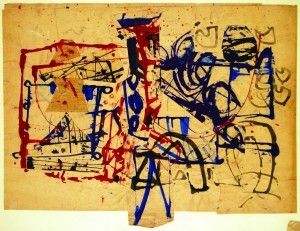 Stuart Sutcliffe continued stay in Hamburg, effectively ending his time in The Beatles. 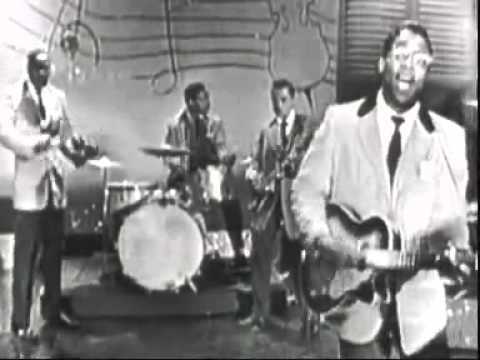 In the United States, Elvis Presley’s Are You Lonesome Tonight was the Billboard #1 song. 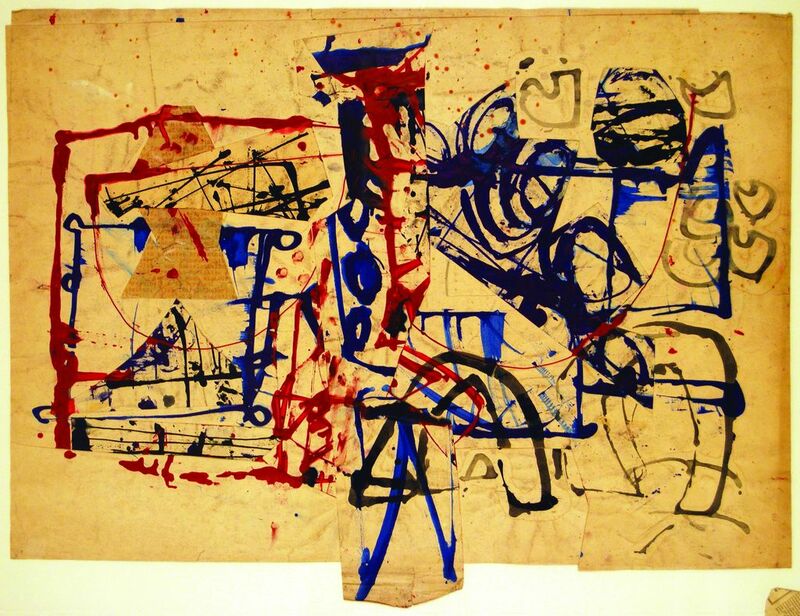 Stu Sutcliffe left the band to pursue his career as an artist, enrolling in the Hamburg College of Art, studying under future pop artist, Eduardo Paolozzi, who later wrote a report stating that Sutcliffe was one of his best students. 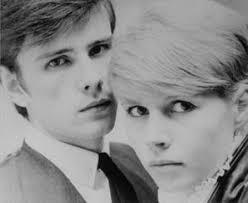 Stu had also met Astrid Kirchherr in Hamburg. They became engaged. Sutcliffe began experiencing severe headaches and acute sensitivity to light. In the first days of April 1962, he collapsed in the middle of an art class after complaining of head pains. German doctors performed various checks, but were unable to determine the exact cause of his headaches. On 10 April 10, he was was being taken to hospital, but died in the ambulance. The cause of death was later revealed to have been an aneurysm. Stu Sutcliffe was 21.